ID Card for the first lesson! A id card I will give on the first day.The point is to see what they remember, what they know and how well they understand the questions. 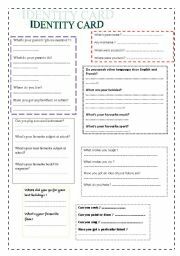 a little worksheet to start the schoolyear and break the ice . 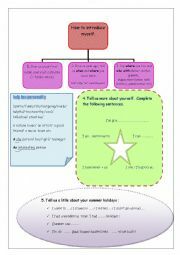 The pupils can prepare their oral presentation in groups, help themselves, get confident with the worksheet and the help box. Then present themselves in front of the class. 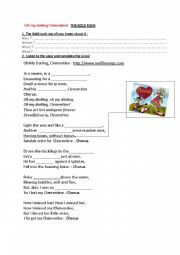 an easy comprehension worksheet about the song "rolling in the deep" by Adele! I really love this song . 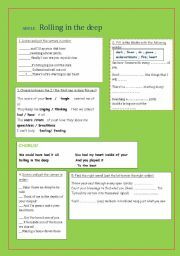 a song worksheet made to introduce my new lesson The Gold rush. This is a traditional campfire song, referring to the life of the 49ers. Enjoy! 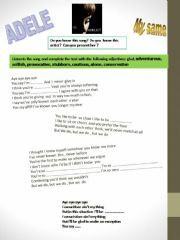 this is the 2nd part of my contest on the USA. 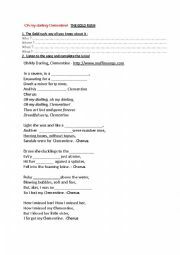 ( couldn�t send it the same day, I �m a new member) enjoy!